Have you ever thought of planting trees on the roof as an exterior decoration? It is a unique and simple idea which is emerging as the alcohol in the architecture world. Although, it is not so new and has been there for centuries. However, designers have now applied it to decorate the exterior of the home. In this article, we will visit a rustic shed house where the roof is covered with green trees. 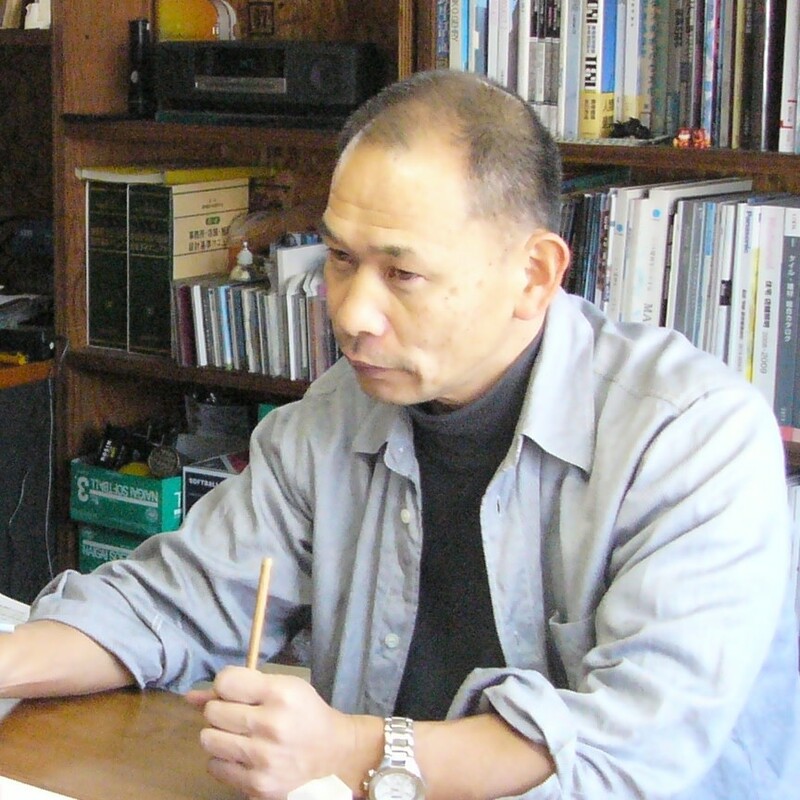 It creates a beautiful and attractive scene in the eyes of the viewer. However, green roofs do not merely add to the exterior of the house but also serve as insulation. It is also beneficial to human health. This roof design helps filter out pollutants in the air, which can also reduce the amount of rainwater. 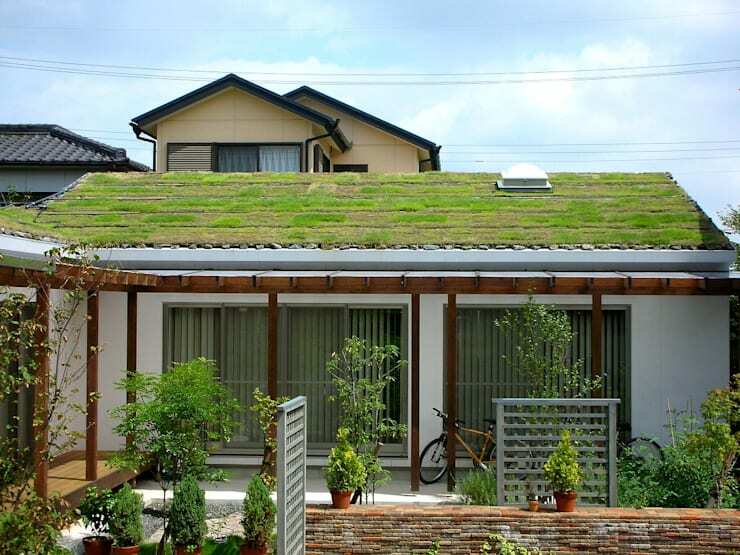 This green roof design is comprehensive, easy to maintain, and beautiful. Architects have ensured that the roof is built in several layers, including a waterproof sheet, resistant cover for trees, coconut fiber, and grass. It also has an automatic grass system. 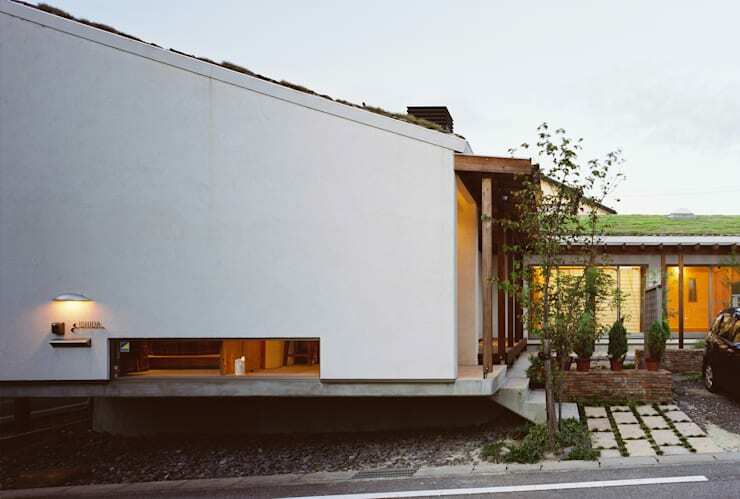 This one-storey house has an L-shape, creating enough space to build a small garden. It receives direct sun rays that can freely penetrate into the air, creating a very harmonious atmosphere. It is full of taste and comfort. 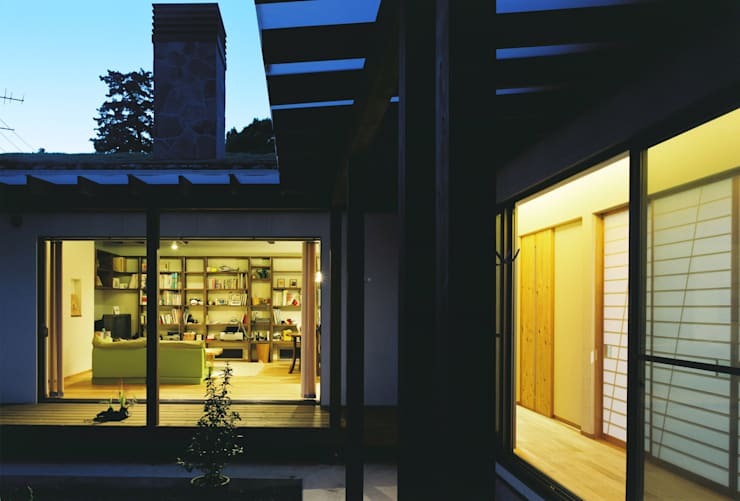 In the twilight, the connection between the interior and exterior of the house appears extremely clear. It creates a private space which is cozy and inviting. Natural materials and windows of the same height are used to enhance the airy atmosphere of this pretty little house. It turns the outer space into an extension of the interior space. 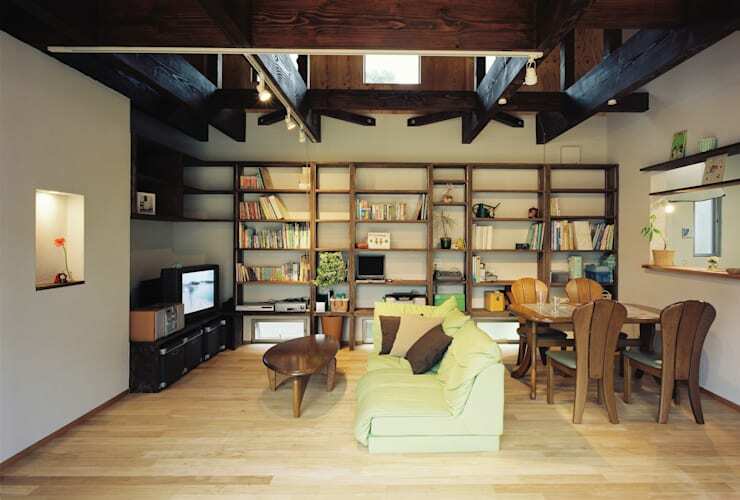 Inspired by the exterior, the rustic living room has a wall-mounted bookcase that is often found in interior design. Also, there is a high-altitude roof that features beautiful wooden beams. 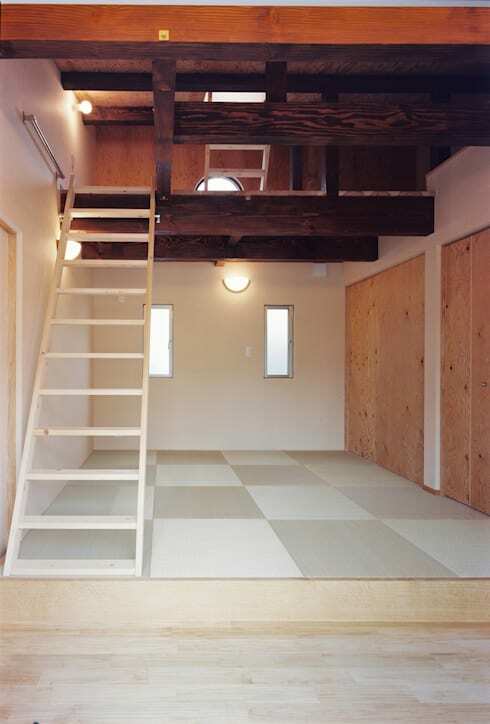 These beams also help to support the ceiling. It is the modernization of the traditional design motifs but still looks so cute. Next, we will come to the bedroom area. Loft-like design of the bedroom is an excellent way to take advantage of the height of the room. The house is a mixture of colors and wooden surfaces, which help to enhance the beauty of each element. This makes the apartment look attractive and charming. 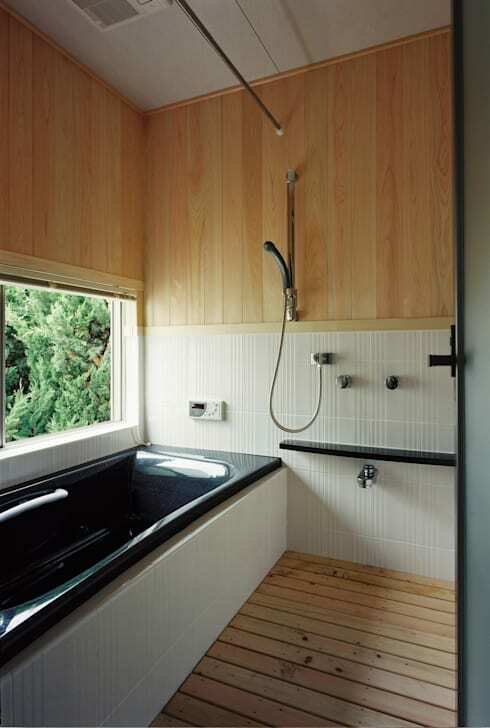 To complete this lovely house, we have a bathroom made of wood. Taking advantage of the materials and colors that are present throughout the architecture of the home, the result is a design that is both practical and extremely aesthetic. The black bath is an eclectic choice. Also, the old design rules have been refreshed to create a charming room with a view of the courtyard.